I have been a practicing Licensed Professional Counselor for about 8 years and I truly love what I do. I received my Master of Arts in Counseling from Wayland Baptist University in 2010 and my Bachelor of Science in Nutritional Sciences with a minor in Addiction and Recovery Studies from Texas Tech University in 2007. I have worked in the residential substance abuse, psychiatric inpatient, outpatient group therapy and individual therapy setting. My goal in therapy is to meet you where you are and to walk with you through any of life's struggles. We don't have to walk this life alone! I would describe my style as kind, caring, nonjudgmental and honest. I want to create an environment where my clients feel safe and heard, where we can lay the groundwork to create lasting change. My approach is collaborative and I work with my clients to come up with a plan of action together. 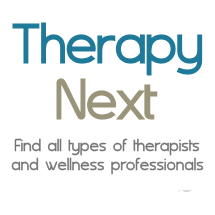 I enjoy using Dialectical Behavior Therapy, Acceptance and Commitment Therapy, Motivational Interviewing, Cognitive Behavior Therapy and Person Centered Therapy depending on my client’s individual needs. I grew up on a farm in a small rural community and now enjoy living in the big city. I am a lover of reading, crochet, DIY, the outdoors and my two fur babies: a shorkie named Shine and a weimaraner named Wylie.